Music is a blend of Classic Country/Country Rock/Americana/Roots music with a hint of Blues and Folk mixed in. Frequently Performed Events: ~ BBQ's ~ Country Themed Events & Festivals such as 4th of July Celebrations, Summer Picnics and Fall Festivals ~ Concerts ~ City Events ~ Banquets and Fundraisers ~ Dinner/Dances ~ Outreach Events ~ Conferences ~ Retreats ~ Senior Communities ~ House Concerts. 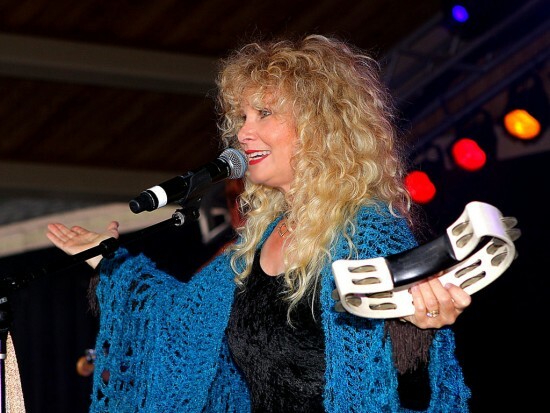 A few career highlights includes a performance for Parasol Foundation for top music/film industries professionals, opening for Air Supply at the Cherry Festival in 2010, as well as opening for Alan Parsons in 2012. Rockin' Country songs to an Americana/Folk vibe you will love! Book now! These people are great! They were fun, and their music fit our occasion beautifully. They even gave me pointers along the way. I really love them! Hire them. They were on time, played the whole time, and have excellent voices. Threw in some Irish songs, too. Thank you! Easy to work with, provided all asked for. What a duo! Sandi wasn't available but partnered with Mike in the background to help fill our need. Mike flew solo entertaining our small crowd as a keyboard playing vocalist. He was also game to accompany my dad who stole Mike's mic to render a few of his favorites. Thanks for playing along (no pun) and helping us celebrate my dad's milestone. This is the first time I have used this service and I was blown away at how quick and easy it was. Sandi contacted me immediately and was so friendly and professional to work with! They showed up early in full country attire and got busy setting up. When they started playing, I was impressed with their sound and it added so much to our event! They made the event so special, even singing a song about my son's pet Rooster "Rango" that he was cradling in his arms :) I am so grateful for the memories that we created that day, which Sandi and her husband helped create the fun, family atmosphere that will last a lifetime. Thank you so much for sharing your talents with us! It was an absolute pleasure working with Sandi Bell on our commercial campus tenant event. She was professional and responded to my questions and needs immediately. I never had to worry about following up on things. She and Mike came to set up early, looked sharp in their outfits, started performing promptly, kept the audience entertained with a good mix, and a variety of songs and back stories. They helped us hype up our pie eating contest, and most importantly both Sandi and Mike had great voices and a beautiful sound. They were very enjoyable and a pleasure to have! I would employ their services in a heartbeat. Sandi was wonderful to work with from start to finish. The music was of professional quality and tailored to meet our needs perfectly. The chemistry between Sandi and her husband was fun to watch. The audience was very pleased. I recommend very highly! I truly enjoyed working with Sandi. She asked questions and gave suggestions which helped greatly with event planning on a budget. Our event was a silent auction followed by dinner. Sandi always promptly returned calls and when she and Mike showed up for the event, they set the perfect mood. I can still hear Sandi singing "Blue Bayou" with perfect pitch and melody. I am so glad I got to know Mike and Sandi and hope to work with them again. True professionals and nice people. Sandi was a pleasure to work with from initial contact through the performance. We hired Sandi for a community event with the City of Mountain View. The performance was flawless, but how could it not be with her voice. Everyone present commented on how fabulous the event turned out. I would highly recommend Sandi for events, big or small. Sandi and her band did a very wonderful performance. Over 200 guests amazed with their music, asking me where I got this band from. 5 star performance in any weather . Sandi and her band captured crowd's attention. Sandi played at my 50th Birthday party. Having a great live band made my event very special. My guests danced and really enjoyed the music. I have received nothing but compliments from all who were there. I hope to have Sandi play for my next party. We had Sandi sing for our families as they enjoyed some time relaxing outside and played games on the lawn. They loved Sandi's fun playlist and her interaction with the kids. At one point, she got them up on the stage and handed them instruments so they could play along. Great music, great people, great fun! Price Range: "$100 and up." Be prepared for quality musicianship with a show business flair, layered vocal parts with multiple tight harmonies, pocketed grooves and a audience reaction to the heartfelt music. Add the effects of professional sound engineering and top stage lighting to round out the performance. Shows take you on a journey through the music. Martina McBride, Patsy Cline, Reba McEntire, Tammy Wynette, Lynn Anderson, Trisha Yearwood, Linda Ronstadt, Shelby Lynne, Emmylou Harris, Loretta Lynn, Shania Twain, Leann Rimes, Carrie Underwood, Gillian Welch, Wynonna, Old Crow Medicine Show, Lynard Skynard, Vince Gill, Travis Tritt, Willie Nelson, Luke Bryan, Merle Haggard, Johnny Cash, Waylon Jennings, Hank Williams, Brooks and Dunn, Van Morrison, Doobie Brothers, Don Williams, with a bit of Rock and Blues mixed in! "It's all about the vocals isn't it" said Greg Kihn of KFOX 98.5 radio. 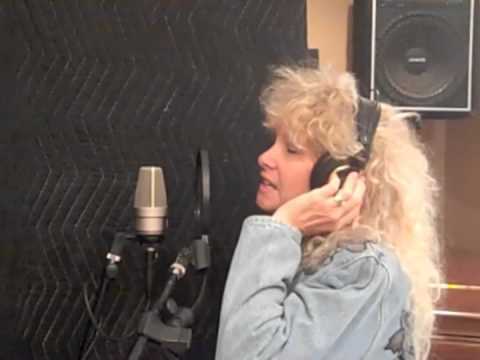 Sandi Bell was born to be a singer. Born in Rhode Island, Sandi grew up moving about the country, living in Minnesota, Kentucky, Alabama and California, learning to adapt to making new friends and cultures at each destination. Sandi occasionally kids that she has lived North, South, East and West. An only child, and often alone, Sandi spent hours with old 45's that belonged to both her and her parents. The music and singing could be heard coming from her bedroom and throughout the house since ever since her parents could remember. Sandi started playing Cello at the age of seven in the school orchestra. Her parents were divorced when Sandi was 9 years old. Sandi and her mother moved from Alabama to California. Because her mother had to work to support the family, Sandi was on her own most of the time before and after school. She found her port in the storm by singing to records every chance she got. 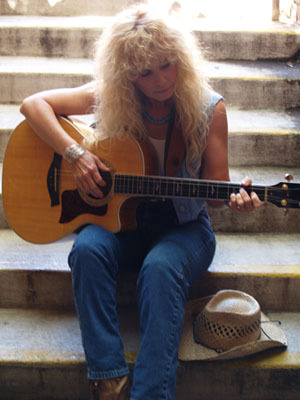 By high school graduation, Sandi was playing piano and guitar and her mind was made up to become a singer. Singing multiple Barbra Streisand records each morning before and after school, Sandi became a self taught singer. In her early twenty's, Sandi hit the road with successful top 40 bands, living in hotel rooms on the road months out of each year. The stage became a place of familiarity and of identity for her. She pursued singing many genres during that time. She found the styles of the artists and captured the essence of their voices. Sandi's long career in entertainment features a few career highlights includes a fundraiser for the Parasol Foundation with some of the top music industry professionals, including Michael Bolton, Pat Boone, Stu Cook from Creedence Clearwater Revival, a fundraiser for Joni and Friends, a national organization that helps reach out to people affected by disability, opening for Air Supply at the Cherry Festival in 2010 in Southern California, as well as sharing the stage with along with Alan Parsons in 2012. 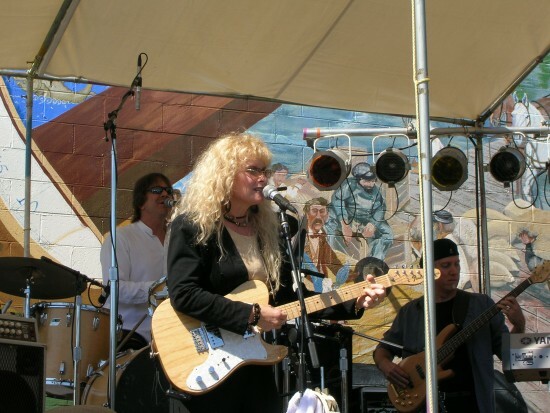 After many years of doing main stream cover music and becoming less and less interested in doing what everyone else was doing, Sandi, an avid horsewoman, fell in love with old time Country Music and the Americana/Folk Genre at her ranch and felt a calling to change her musical direction in 2010. Patriotic and good old down home American life music heads up her favorites along with performing her original Country style music. She is now the founder of her own label, RSVP RECORDS, with its first release, The Time Has Come. Co-produced with husband Mike Bell who plays piano, keyboards, guitar and background vocals, along with the co-production talent of Randy Knaub of Jireh Productions in engineering and mixing. Flexible, Reliable, Delightful By Janet G.